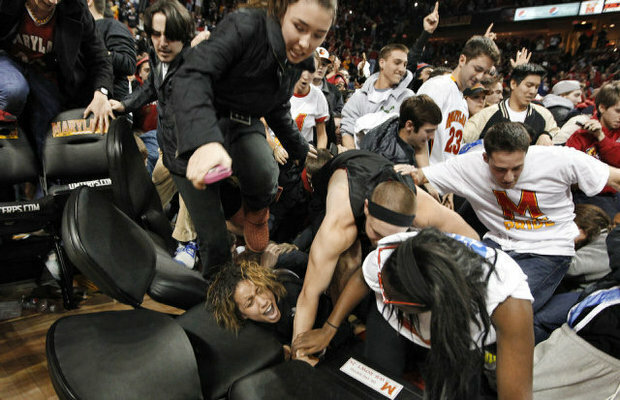 Nothing says pampered, self-regarding children quite like court storming. Gosh, I guess it is just part of growing up and being a bit more responsible. I have always thought that a post-game rush-the-floor was a great way to celebrate a big victory. But…as you have shown…it is just not very safe. Guess next will be no tearing down the goal posts! All it would take is disqualification of the winning team to stop this behavior. In my opinion, fining the school would have little to no effect on fan behavior. On the other hand, taking away the win, would make any kind of stampede seem senseless and would put the onus on the fans, as they are the problem. I agree with JimmyC, time for court/field storming to go away. Also, tearing down goal posts is vandalism in my opinion. There are other places to celebrate. 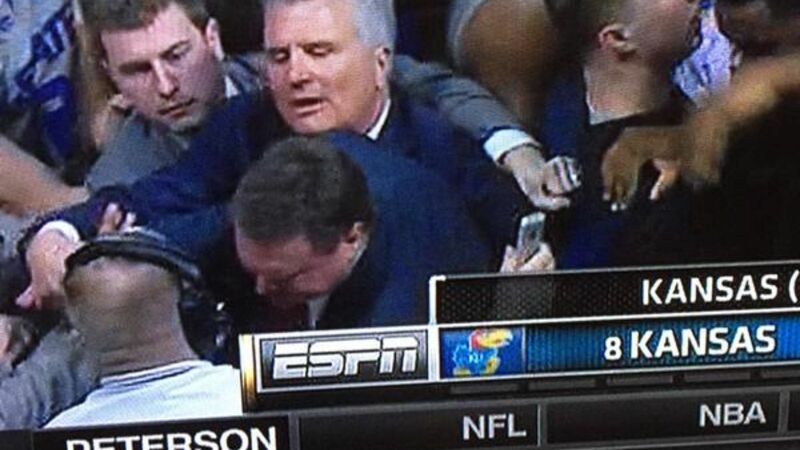 I think Bowlsby, the Big 12 commissioner, has all fields of play in mind when he’s calling for a review of this situation. 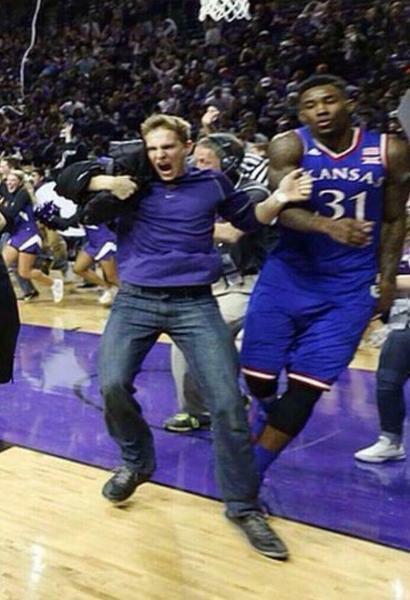 I’m basically with Jason on this: just let it be known up front that if the home team’s fans storm the court/field after a victory, a forfeit will automatically ensue.